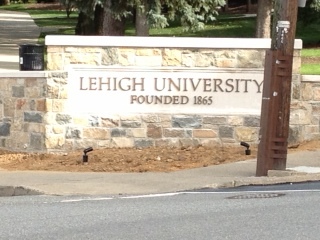 Well out on a run, the other day, I saw this new sign that they put up for Lehigh University. It is located at the corner of West Packer Ave. and Brodhead Ave. It is good that we have a nice sign designating our college from the surrounding area.